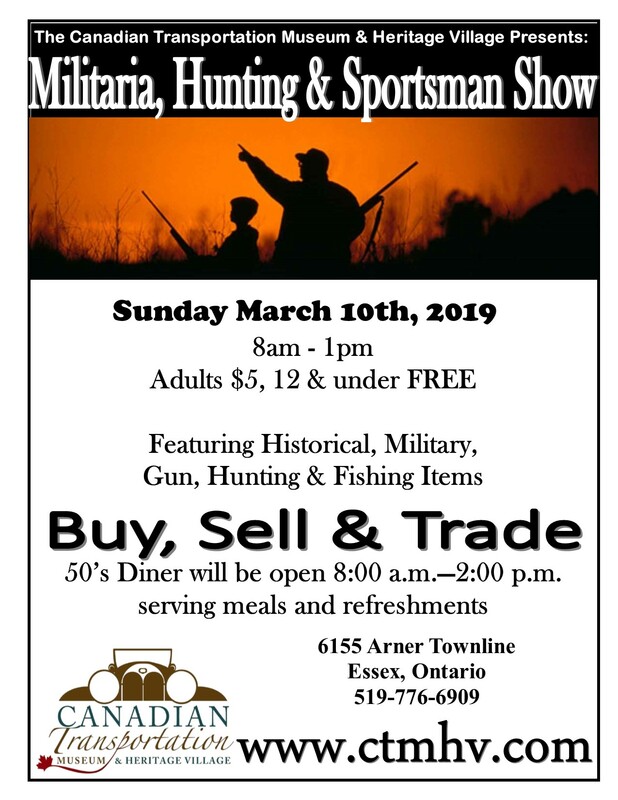 Come out to the Canadian Transportation Museum & Heritage Village on Sunday March 10th, 2019 for the Militaria, Hunting & Sportsman Show. Admission cost is $5.00 per adult with children under 12 free. Show runs from 8:00 a.m. – 1:00 p.m. 50’s Diner open from 8:00 a.m. – 2:00 p.m. serving meals and refreshments. Buy, Sell & Trade. Over 70 tables of vendors to browse.